The two-day event, starting on Saturday, will cover a total distance of 106.1 kilometers with a halt in Mashobra on day one. Shimla: The temperatures in the picturesque town of Shimla in Himchal Pradesh dips below quite low during the winter. Even now in the middle of April, it hovers between six degrees Celsius to 14 degrees Celsius. 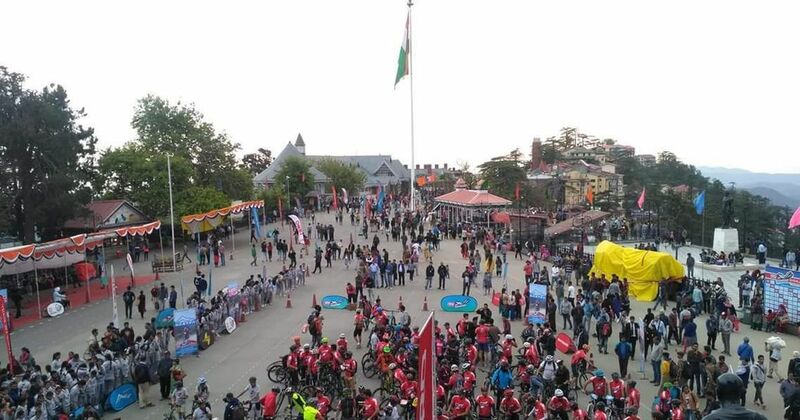 It might be considered by most Indians to be chilly weather, for a few 100 mountain who have descended on the hill station for the 2018 MTB Shimla edition bike race, the cooler climes provide perfect setting for an enthralling contest. From Saturday, mountain bikers from more than seven countries and 23 cities across India will participate in the two-day race which will see them cover a distance of 106 kilometers while traversing through the beautiful mountain roads and forests of Himachal. While the views might be breath-taking, the terrain will be anything but easy. “The route is tougher this year, which has more of climbing. 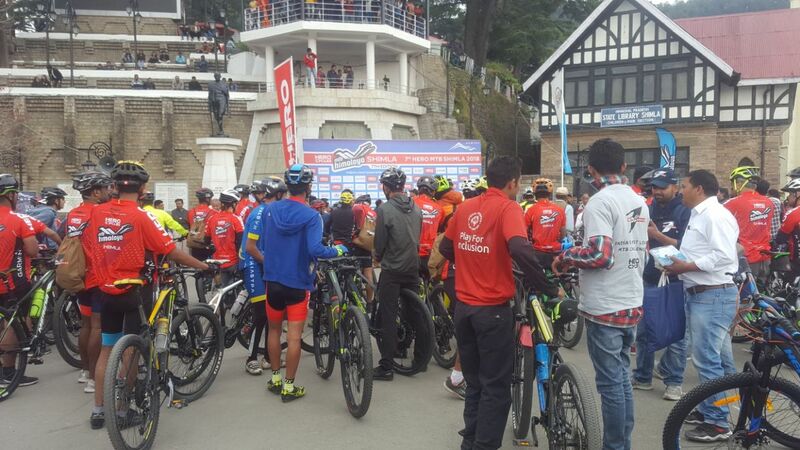 Last year we had around 3400 metres of climbing in two days, this year we have around 3600 metres,” says Race director Mohit Sood. “We are doing a lot of single trails this year using a lot of forest paths. More challenges are being thrown up this year. We are taking it up by a notch,” added Sood, who also heads HASTAPA, an organisation which makes these cross country rides across the country. The race is not just about speed but is a test endurance and stamina. Mountain bikers from more than seven countries and 23 cities across India will participate in the two-day race which will see them cover a distance of 106 kilometers. Mountain biking or cross-country racing is one of the most popular adventure sports across the globe. However, India is yet to catch up to the trend. Through the race, organisers hope to attract more people towards the vocation. 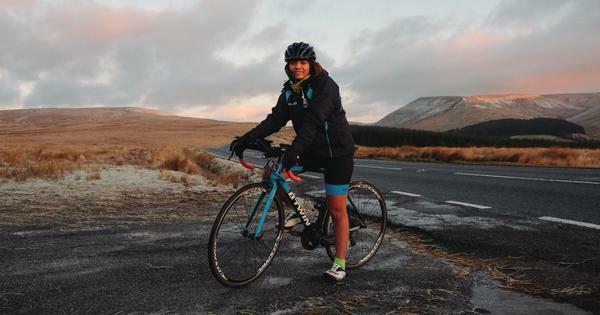 “People think that cycling is only for kids,” lamented Sood. “But, people are now using it for transportation in the metro cities. The mindset is changing. They are looking at it with a fitness point of view,” he added. This is the eighth edition of the event. It serves as a spring board for bikers who wish to go onto to participate in the much more strenuous MTB Himlayan edition, which attracts professional mountain bikers. The organisers hope the race spawns a much bigger change in the region, which they hope can become a hub for mountain biking. “We have a given a proposal to the government and Hero Cycles to open a high-altitude training academy,” says Sood. “We will train people to be races and also trainers. We just need space and we will make this happen within a couple of years. “We also want to have racing trails around Himachal. We are already working on that so that every mountain biker can ride without any hassle,” Sood added. For now, the focus remains on the two-day race that begins on Saturday with a halt in Mashobra on day one for the riders. The terrain follows a route that traverses through a combination of mountain roads and dense forests. The bikers will also have to contend with tricky single track sections and will also be required to camp in the forest. The winners will get prizes worth Rs 6.5 lakhs along with a new range of Hero Sprint Pro bikes.